Avoid Non-Refundable, Non-cancellable Rentals. Plans Change! You can usually find fully cancellable and refundable rentals with same agency or competitors at same price, keep searching. Avoid drop-off fees by returning to the same rental location. In many locations Mid-Size /Intermediate and Intermediate/Standard are the same vehicle class yet show as different rates - take the lower cost vehicle. Learn the ACRISS Rental Car Codes. Best time to search is from 6 months out to 3-days prior to arrival. If you find a great rate, take it but make sure its cancellable and refundable. Return and Keep looking for a better rate as inventory starts to change rates will fluctuate; take the better rate and cancel the other, often saving $300-400 per rental. If you must do last minute or same day, book several hours beyond the current time until you see availability appear or rate decrease to yur liking. Take the rental then proceed to counter for early pickup. 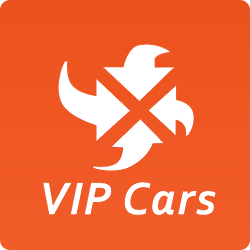 If vehicle is available a very good chance car will be released to you early. Use of these tools means you have already the following important information and assume all risk in the use of these search tools.The T&C or Terms and Conditions detail the credit card deposit hold requirements (available credit line) and insurance conditions, particularly if you choose to use your credit card coverage for Collision Damage Waiver (CDW) and theft (bringing a letter of coverage with you). If you don't read the following, if you don't inspect the T&C in the listing results; don't use the links. Each of these sites pull content and rental inventory from global databases. While all may look similar; they're not. You may really score on a DIY rental when you take responsibility to examine ALL minute details carefully as no two search results are exactly the same. Everything varies based on availability, price, inclusions and exclusions, Rental Terms & Conditions, deposit holds, insurance inclusion or extras. It's the inspection and double checking is where you can save. Prices, Terms and Conditions and policies are those of the rental agencies' and not Vida Travel Group. REQUIRED extras at rental desk: No mandatory extras! Ha Ha Ha or Ja Ja Ja. If you see this it's a generic web template heading; Data is only as accurate as that input by the local rental agencies themselves. No OTA (Online Travel Agency inspects the details or enforces full compliance with insurance laws in every local or country. Mixing metaphors; in data entry its called garbage in, garbage out. Intentional or unintentional, caveat emptor. Lucky for you, making it this far, you've become a savvy DIY, one's trash can become your treasure and when you take the steps to inspect what is being displayed. • Credit Card - A valid credit card in the main driver's name. Sufficient line of credit on your card to support any deposit holds. • Printed proof of credit card CDW insurance with card member name and card number included if you elect to use your credit card CDW insurance. • Your Drivers License and Passport. If DIY is too much effort in spite of significant savings up to $70 per day, we advise you to search elsewhere for your rental car or contact a professional for assistance. In Latin America you may be offered additional and sometimes costly insurance coverage – to reduce or remove your excess, or to cover things your Credit Card Collision Damage Waiver (CDW) doesn’t, such as tires and windscreen. While the rental agent may be very persuasive, these options are solely your decision. If you have any difficulty on-site, experience strong-arm tactics, immediately contact the consolidator that processed your reservation from the agency's phone. Please Note: If you reserve a DIY rental vehicle from one of these sites, that contract will be between you and the car rental agency identified on your voucher. Only you can choose the vehicle and insurance coverage that's right for your particular situation. The information provided herein is not intended to be a recommendation of any particular agency, insurance coverage or provider. While the information describes common practices in Latin and Central America, other countries may have similar policies and practices. Always contact the Local Rental Car Provider at your intended destination in advance for complete information. Internet websites OTA tend to offer the lowest stripped-down price point and are generally not accurate when it comes to the important topic insurance in local geographies. For example, Costa Rica Law requires Third Party Liability insurance (TPL). TPL or Supplemental Liability Insurance (SLI) or Collision Damage Insurance (CDW) and are NOT "generally" included in quotations online, while they can be. In Mexico is mandatory to include. While you may see online rental car listings including TPL, CDW or Full Coverage included, we urge you to be diligent and check with the Terms and Conditions link in advance. Only the local car agency as named on your rental voucher can provide you accurate information on these coverage. It's your responsibility to contact the agency directly to determine exactly what coverage is included and what will be extra. If you are uncomfortable with the answer you receive, cancel and move on; your experience in the rental office is not likely to improve. If you intend to use your Credit Card's Primary Insurance benefit (CDW) you must tell them when when discussing your coverage so they can provide pricing and deposit hold based on your scenario. Do not wait until arrival to discuss insurance coverage. If you are unclear or uncomfortable after discussions with your local rental agency or if the agency refuses to allow you to use your properly documented Credit Card PRIMARY insurance coverage; you might consider booking with a different provider. As always, use your best judgement for your own situation. Be sure to add any free additional options/drivers when making your online reservation. If you fail to do so, you can be charged $5-10 per day at the agency for that same driver. NOTE: any reference to using Credit Card CDW assumes you have already determined that your credit card includes Primary Rental Car Insurance Benefits for international car rentals; not secondary. Using your Credit Card coverage may require that a large security deposit of up to $7,000 or more be placed on the same card depending on vehicle type. Only your rental agency can tell you what this amount will be and it should be in the Terms and Conditions on each offer. Print this for your records and take with you. Almost done. It is your responsibility to have sufficient credit available on your card to cover this hold when you pick up your car. Lastly, you're pretty smart now, so use your smartphone to photograph or video every ding and detail listed on your agreement while you complete the walk-around inspection.